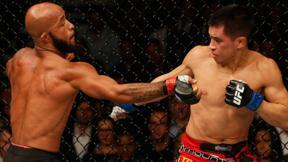 In September 2012, Demetrious Johnson and Joseph Benavidez made history as the first two athletes to fight for the UFC flyweight title. On December 14th, more than a year after the epic five-round battle won by Johnson, the two best 125-pound fighters in the world will meet again in Sacramento. 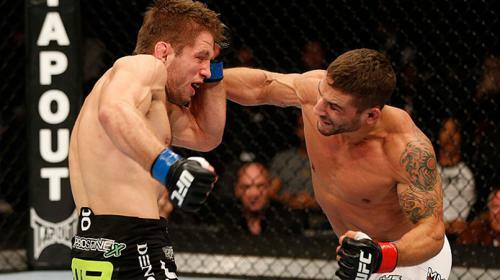 Plus, “The California Kid” Urijah Faber returns to his hometown to meet Michael “Mayday” McDonald, and welterweight standouts Carlos Condit and Matt Brown face off in what promises to be a Fight of the Year candidate. 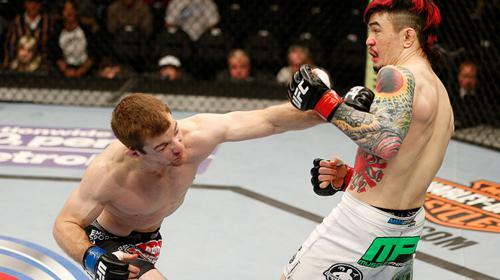 Alptekin Ozkilic vs. Darren Uyenoyama UFC Fight Night Sat, Dec 14, 2013 (25:56) Making his UFC debut, Alptekin “The Turkish Delight” Ozkilic with his 8-1 record including back-to-back KO/TKO wins in his most recent bouts would square off against Ralph Gracie trained submission specialist Darren Uyenoyama who was 2-1 in the UFC. 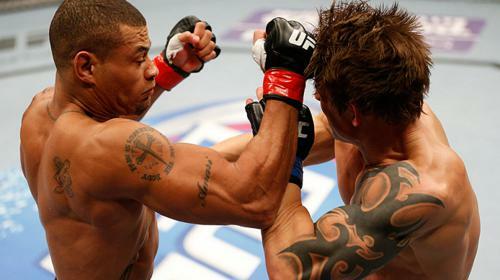 Abel Trujillo vs. Roger Bowling II UFC Fight Night Sat, Dec 14, 2013 (12:05) In the rematch of their August clash, North Carolina’s Abel Trujillo displayed some incredible explosive stand-up in their first meeting and was ready to collide again with “Relentless” Roger Bowling who wanted to make “Killa” his 8th pro win via KO/TKO. Sam Stout vs. Cody McKenzie UFC Fight Night Sat, Dec 14, 2013 (19:47) Striking vs. submissions as Canadian kickboxer Sam “Hands of Stone” Stout making his 17th UFC appearance including 6 Fight of the Nights entered the Octagon against TUF 12’s owner of the world’s most effective guillotine choke Cody McKenzie. Zach Makovsky vs Scott Jorgensen UFC Fight Night Sat, Dec 14, 2013 (24:30) Former NCAA D1 wrestlers turned electric MMA fighters were set to tangle in the UFC’s flyweight division as Octagon newcomer Zack “Fun Size” Makovsky took on 2x Fight of the Night winner Scott “Young Guns” Jorgensen in his first drop to 125 pounds. 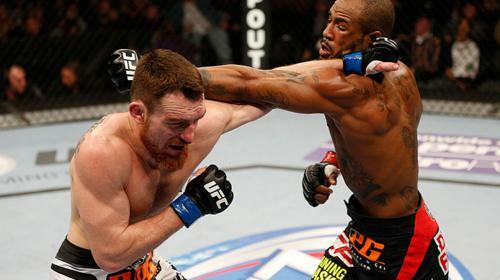 Bobby Green vs. Pat Healy UFC Fight Night Sat, Dec 14, 2013 (24:54) Strikeforce studs “King” Bobby Green and Pat “Bam Bam” Healy aimed to close out 2013 with a bang as Green put his eye-opening 6 fight win streak on the line against the relentless grinding offense of Healy. 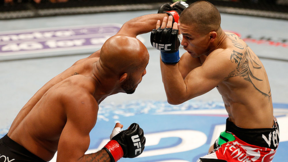 Edson Barboza vs Danny Castillo UFC Fight Night Sat, Dec 14, 2013 (19:54) Team Alpha Male’s Danny Castillo and former Brazilian Muay Thai champion Edson Barboza clashed in a wild Fight of the Night bout. 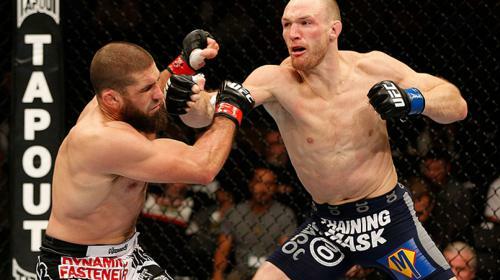 Ryan Laflare vs. Court McGee UFC Fight Night Sat, Dec 14, 2013 (20:54) What would happen when two welterweights with stand-up skills & never-ending gas tanks tangled inside the Octagon? 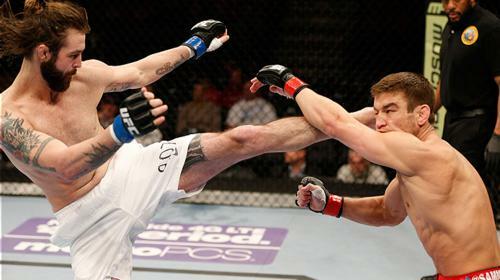 We found out when undefeated Ryan LaFlare had quickly impressed with 2 UFC wins took on TUF 11 winner Court “The Crusher” McGee. Joe Lauzon vs. Mac Danzig UFC Fight Night Sat, Dec 14, 2013 (20:08) Stuck between a rock & a hard place after back-to-back losses, two talented veteran lightweights in UFC bonus leader Joe Lauzon and TUF 6 winner Mac Danzig took to the cage in search of a tough win against an event tougher opponent. 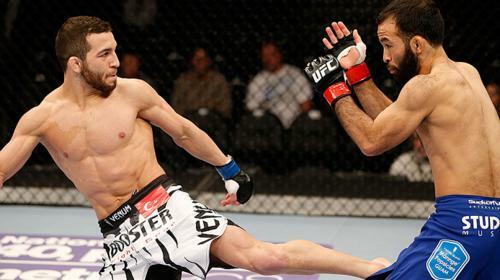 Chad Mendes vs. Nik Lentz UFC Fight Night Sat, Dec 14, 2013 (21:11) Whose UFC featherweight win streak would come to an end? Team Alpha Male’s Chad “Money” Mendes and his power-punching that was growing by leaps-and-bounds was set to scrap with American Top Team’s Nik Lentz who had hit his stride at 145 pounds. 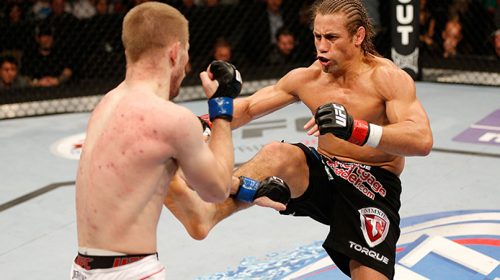 Urijah Faber vs. Michael McDonald UFC Fight Night Sat, Dec 14, 2013 (12:51) A true veteran of the sport took on a new breed of fighter when 'The California Kid' Urijah Faber and Michael 'Mayday' McDonald met in the Octagon at UFC on FOX 9. Demetrious Johnson vs. Joseph Benavidez UFC Fight Night Sat, Dec 14, 2013 (15:00) In a little over a year following their title fight split-decision, UFC flyweight champion Demetrious Johnson would make his 3rd belt defense against his original rival Joseph Benavidez, who had won 3 straight including back-to-back KO/TKOs.